Conference exhibitors play an important role in helping you plan your homeschool experience. During the 2019 Oregon Christian Home Education Conference, you are able to speak directly to homeschool curriculum publishers—many of them homeschool parents themselves—who can answer your questions and help you find the materials you need. Are you a vendor interested in participating in the 2019 Oregon Christian Home Education Conference? Did you know that you can win CASH by shopping at the Oregon Christian Home Education Conference June 28-29? 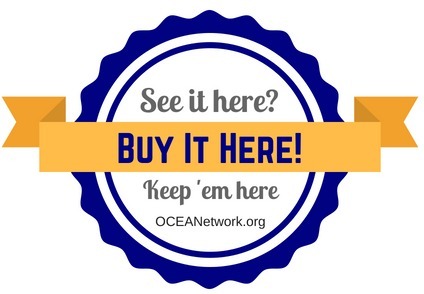 OCEANetwork will once again be sponsoring the Buy It Here! promotion to encourage you to support our exhibitors with your patronage. Every $25 you spend at an exhibitor booth will earn you one entry for a cash prize giveaway of $100, $50, or $25, given out at the closing general session (must be present to win). Why do we encourage you to buy from our exhibit hall? You may not know this, but vendors join conferences at personal sacrifice in order to share their valuable resources with you, often traveling long distances and keeping their fees low. Keep them coming each year and encourage more vendors to join us next year by shopping at the conference rather than saving a few bucks elsewhere! Friday, June 28, 2019 10:15 a.m. – 6:30 p.m.
Saturday, June 29, 2019, 9:30 a.m. – 6:00 p.m.
We are pleased to announce that the following exhibitors will be attending the OCEANetwork conference this year. *** Note that this list is being updated as conference exhibitors are finalized. Check back for more. If you are interested in being one of the conference exhibitors at the Oregon Christian Home Education Conference, click here for more information.